Your enterprise must implement a strong identity and access management solution if it aims to survive. Usually, our articles build up to such bold declarations with an exploration of its context. However, the dire nature of modern identity security means wasting time plays into hackers’ hands. Immediate access is of the essence. Hackers seek out privileged access credentials as the most convenient enterprise attack vector—over 70% of enterprise breaches begin with stolen or weak credentials. Often, a breach can cause the complete closure of victim small-to-medium businesses; on average, data breaches cost $3 million—a significant price for enterprises of any size. Without proper identity security policies, stolen credentials alone give hackers and insider threats undue power within enterprise networks. One of these critical policies is Zero Trust Identity Security. But what is Zero Trust Identity? How can enterprises implement it? Why should they implement Zero Trust Identity? What is Zero Trust Identity Security? Zero Trust Identity Security begins with the basic principle of Zero Trust. Zero Trust states, quite literally, enterprises and IT security teams shouldn’t trust anything or anyone. This statement is no hyperbole. Enterprises shouldn’t extend trust to any user, application, process, or data source regardless of its source within or without the enterprise. Zero Trust Identity Security states anything connecting to the network or to databases requires verification before it receives access. In other words, your enterprise should treat everything connecting to it as untrusted until it can absolutely prove otherwise. This includes non-human identities as well; they have their own identities and permissions which need severe regulation. Zero Trust Identity thus recontextualizes and fortifies your authentication policies, replacing the reliance on a network perimeter in the conventional sense. Instead, your enterprise must deploy full identity security for all entities and users. How Does Zero Trust Identity Security Compare? As a thought experiment, consider traditional identity security as a fortress with a moat and a drawbridge. Within the fortress contains the treasure—your databases and digital assets—outside attackers seek. To lower the drawbridge, following the analogy, users must give a password. Simply put, those who can’t do not receive entry. While this castle model seems like a strong model of identity security, upon examination it reveals numerous weaknesses. For example, if an intruder steals or guesses the password, they could enter without a second thought. As another example, insiders could betray the castle with their own credentials if they can access more than their duties require. To summarize, a single layer of identity security does not prove sufficient against determined attackers, internally or externally. On the other hand, a Zero Trust Identity Security model functions almost like the TSA for an international flight. Imagine how many procedures and process you must go through to even approach the boarding area to a plane, let alone to step onto the plane. You need to undergo several security checkpoints as well as going through customs before you can reach the next stage. Then you need to verify your luggage, have your passport checked, undergo a full scan for possible threats, and have your passport checked again. After all that, you can still only step onto the plane for which you have a ticket, as verified by the boarding desk. Plus, Zero Trust Identity Security does not possess a PreCheck system of any kind. Of course, this sounds like a lot of tedious steps. Yet no one can deny its effectiveness as a safety procedure; air travel statistically proves the safest means of transportation. Zero Trust Identity Security demonstrates the same level of governance and verification, ensuring absolute certainty of users and application before allowing them limited access. Why Does Zero Trust Identity Matter to Governance? Zero Trust Identity doesn’t just step in to ensure access is only granted to fully verified individuals. It also determines the access itself remains contingent on what the enterprise knows about the users as well as their devices. This function corresponds to role management, a critical capability of identity governance and administration (IGA) solutions. Role management works to limit employee access to only the databases or assets necessary to their job titles and responsibilities. As a result, if their credentials become compromised, hackers cannot cause as much damage as they would otherwise. Moreover, role management must apply to privileged access users equally. Your CFO should not have access to your HR department’s critical files, as one example. Additionally, superusers should not possess the permissions to escalate their own privileges independently; such power could become easily abused, either by the user or by intruders. Zero Trust Identity Security, in other words, doesn’t fully trust the users it does verify. It only gives them limited access corresponding to their duties, and only after full verification. 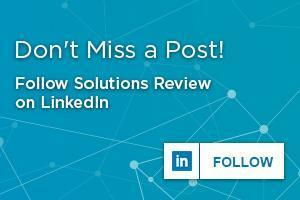 What Capabilities Reinforces Zero Trust Identity? Single Sign-On (SSO) allows users to only input a single or federated set of credentials to log into any application hosted on your environment. It removes the necessity of complex or weak passwords for user logins, regardless of IT environment. For Zero Trust Identity Security, SSO allows users to access their basic business processes after going through the verification process, making up for the time spent in authentication. SSO also allows enterprises to implement step-up authentication if they so choose. Step-up authentication (also called granular authentication) triggers more verification requests as users request access to more sensitive databases. Perhaps the most important aspect of Zero Trust. Multifactor authentication (MFA) ensures hackers cannot brute force their way into your enterprise network by mandating several different verification factors. Two-factor authentication may appear less inconvenient to users, but doesn’t prove secure against crafty hackers; attackers have learned to spoof many second authentication factors like SMS messages. Biometric, both Physical and Behavioral (such as typing behaviors). Every factor you deploy further ensures your users’ legitimacy and protects their identities. As we said above, Zero Trust Identity Security relates strongly to role management. However, it also ties into the Principle of Least Privilege. The Principle of Least Privilege states every user should only possess the access entitlements they absolutely need to perform their job duties. No more than that. 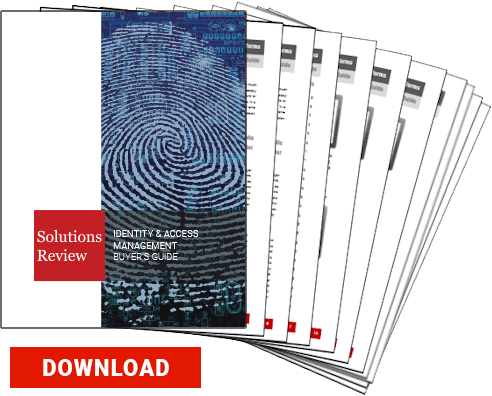 If you would like to learn more about Zero Trust Identity Security, check out our Identity and Access Management Buyer’s Guide.